Pro-Services, now merged with LCE, was appointed to this project by the MAWF who supervised this project on behalf of the Ministry of Lands and Resettlement. 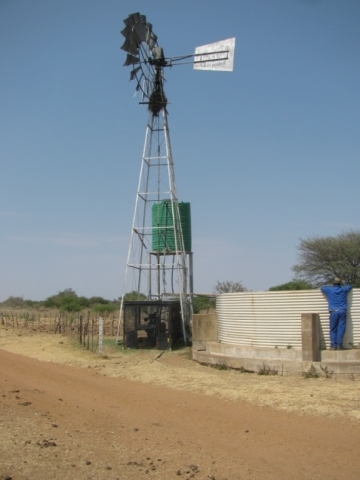 The aim of this project was to determine the rehabilitation requirements of the existing water supply infrastructure (mainly boreholes) on 27 farms in the Otjozondjupa Region of Namibia, which were purchased for resettlement purposes, and which farms were sub-divided into 65 farming units. Following stakeholder meetings, the existing infrastructure was assessed in terms of condition and capacity, which capacity was compared with the calculated water demand for the area to be served by each installation. On completion of the assessment, tender documentation was prepared to facilitate the implementation of the required work. LCE supervised the work of the different contractors appointed by the MLR as well as and conducting the project management and contract administration.